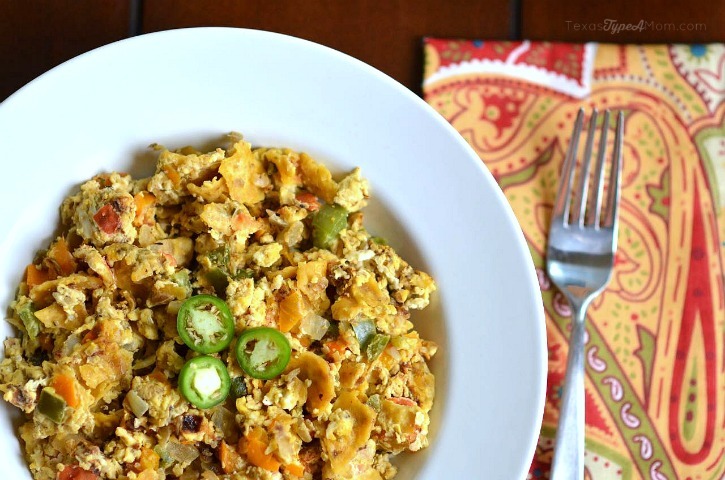 This Migas recipe is a true Texas One-Skillet breakfast that’s perfect for brunch or holidays. We’ve finally arrived into my favorite time of the year! There is so much to be thankful for and adore about Christmas but I think it takes on an even more special meaning when there are kids involved. As adults we sometimes allow ourselves to be stressed and overwhelmed by all of the demands and expectations on us to make this time of year perfect. Whether these are pressures that others place on us or just visions we have in our own mind, it becomes too easy to allow ourselves to get wrapped up in a never ending to do list, and lose sight of what really matters. While Christmas brings to mind a lot of similar images for most people, this time of years always causes my thoughts to drift back to this time of year in 2008. I was 30 weeks pregnant and having a dream pregnancy…aside from the headaches. No morning sickness or heartburn to be found. I couldn’t wait to meet my first child and was eagerly counting down the days until her arrival. Little did I know that on December 15 (a day that will live in infamy for me), my world would change. I started contracting and ended up delivering a feisty, 31 week preemie. Over the course of the next 47 days I’d spend more time in a hospital than anyone should ever have to. 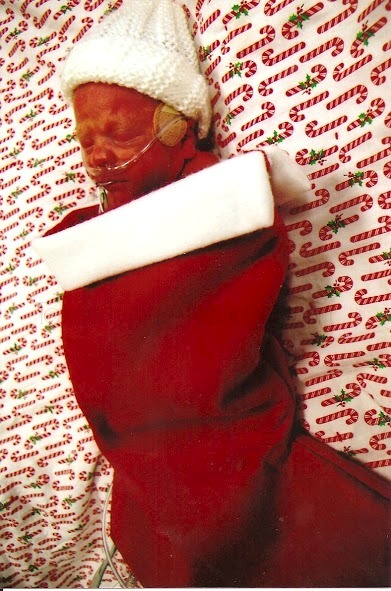 Our child that we had so perfectly timed her birthday so it would be in a month all by herself, far away from Christmas spent her first Christmas in the NICU. With Cakes’ birthday just days before Christmas and my husband’s only a few days after, this time of year would take on an entirely new meaning. To make our time together during the birthday/Christmas/holiday season special we try to do more. More family time, more crafts, more outings, and more home cooked meals…especially for breakfast. Where the girls usually have a Z-Bar for breakfast on school days, they get a little more sustenance to fuel their day. My girls love eating Goldrich eggs because of the rich golden yolks and delicious flavor, but we never budget enough time on school mornings to enjoy it as often as we should. Until we moved to Austin 5 years ago, I had never even heard of migas let alone tried to make it. Now it’s one of my go to easy, one-skillet breakfast recipes. 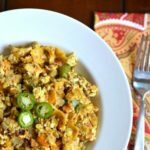 If you’re looking for something special for Christmas or just an awesome breakfast anytime, definitely try this easy Migas recipe! Beat 12 eggs together in a bowl, set aside. Melt butter over medium heat, then add onions and cook until translucent. Add garlic to skillet and cook for 1 minute before adding peppers and cooking until slightly softened about 3 minutes. Sprinkle tortilla chips and oregano over veggie mix. Pour on top of onion/garlic/pepper/tortilla chip mix and allow to cook. Flip mixture over as little as possible while still allowing to cook. Remove from heat and serve immediately with your choice of toppings once eggs are cooked through. 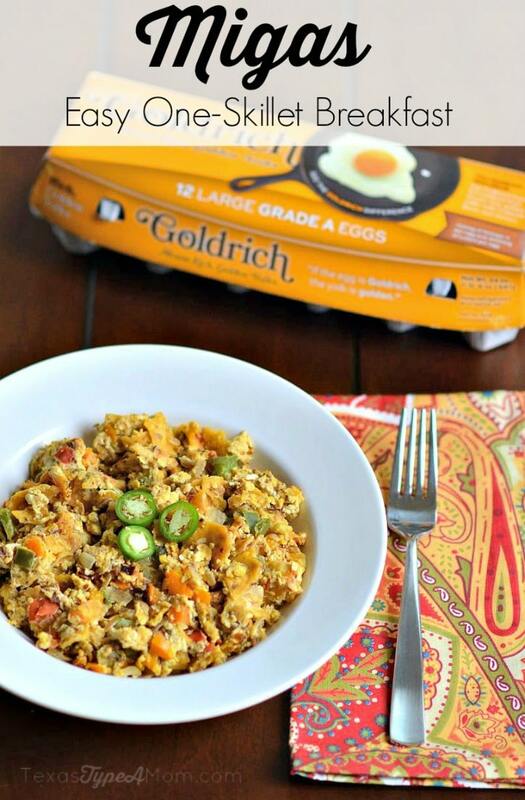 Have you tried migas before? What’s your favorite breakfast recipe during the holidays? Check out my Colorful Deviled Eggs Recipe using fresh eggs too!